1.Perfect For Halloween Party Favor, Trick Or Treat Candy Bucket Etc. 2.Our Pumpkin Candy-Favor Holders are the greatest party accessory. Whether as a table prop centerpiece brimming with treats, or a party favor giveaway for the kids, this jack o lantern candy holder is a great addition to your event. 3. 5" tall. Made Of Highest Quality Plastic. 4.Pumpkin shaped with black handle. Ideal for any Halloween party or event. 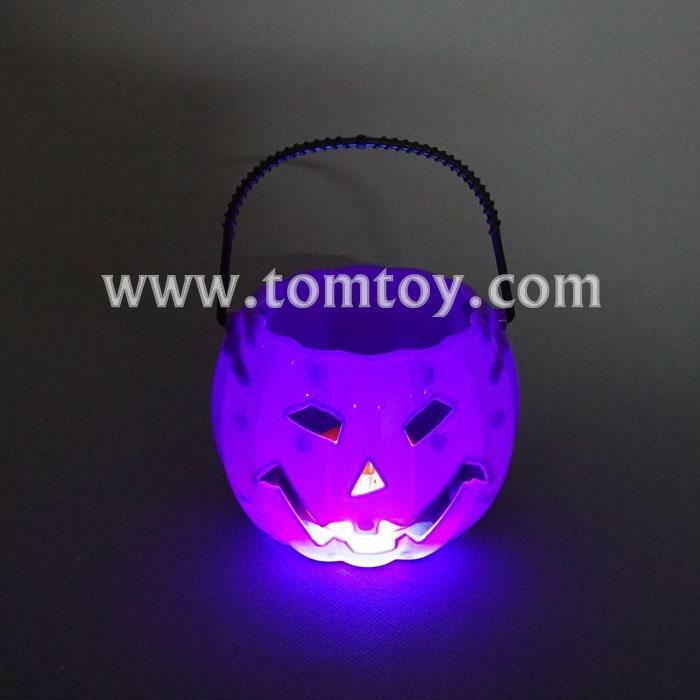 5.LED Light Up Pumpkin Blinks And Flashes RED, BLUE & PURPLE Lights With A Pattern From Slow To Fast.